Does Forskolin Really Help You Lose Fat and Build Muscle Mass? More and more people are looking at natural supplements to lose weight, improve health and fitness. Forskolin is one such supplement that has received a lot of media attention lately for its purported effect on fat loss and muscle building simultaneously. 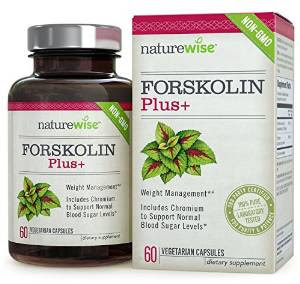 Forskolin is the natural ingredient, derived from the roots of Indian Coleus plant that belongs to the mint family. Traditionally the tropical plant was used in Ayurvedic medicine to help treat various health conditions like high blood pressure, insomnia and heart and lung diseases. One of the best known and researched benefits of Forskolin, that has brought it into the limelight, is its efficacy to burn fat, curb appetite, build muscle and support weight loss. Forskolin has been shown to stimulate an enzyme, known as lipase, that helps burn away stored fat. It activates another enzyme, known as adenylate cyclase, that is responsible for producing cAMP, that boosts calorie burning abilities and improves metabolism. Forskolin also helps increase muscle mass and altering the body composition. It is increasingly being used by prior to workouts to improve endurance and increase muscle contractions. A study published in the National Science for Biotechnology Information shows that oral ingestion of Forskolin for 12 weeks showed positive results and therapeutic effects for management and treatment of obesity. Another study also published in the National Science for Biotechnology Information shows helps mitigate weight gain in overweight females without any side effect, but might be as useful in weight loss. Helps burn stubborn fat around the belly. Helps alter body composition by reducing fat and gaining muscle mass. Stimulates the loss of stored fat and improve metabolism. Prevents storage of new fat. Promotes healthy thyroid function and balance hormone. Improves blood circulation and unclog blood vessels. Helps treat skin allergies and conditions including eczema, psoriasis, acne as well as wounds. Aids in correction of digestive disorder. Reduces depression and sleep disorders. Aids in treatment of irritable bowel syndrome and urinary tract infection. Most experts recommend a dosage of 100-250mg of Forksolin twice a day. Always look for a supplement that contains at least 10% Forskolin for best effects. Carefully read the label and buy 100% natural product only. Consult your doctor before you start healing with Forskolin as it is known to interact with certain medications. Individuals taking medication for heart problems, bleeding disorders, polycystic kidney disease, diabetes or are pregnant should avoid taking Forskolin. There are no magic bullets to lose weight and become healthy. It takes a lot of hard work, dedication to stick to a healthy diet and exercise routine and nothing can replace its benefits. Forskolin is just a supplements and works best when accompanied with healthy lifestyle.